November will be a very busy month for the orchestra. We’ll be playing at Mosman Art Gallery on November 23rd and 25th in the last of our regular concerts for the year. 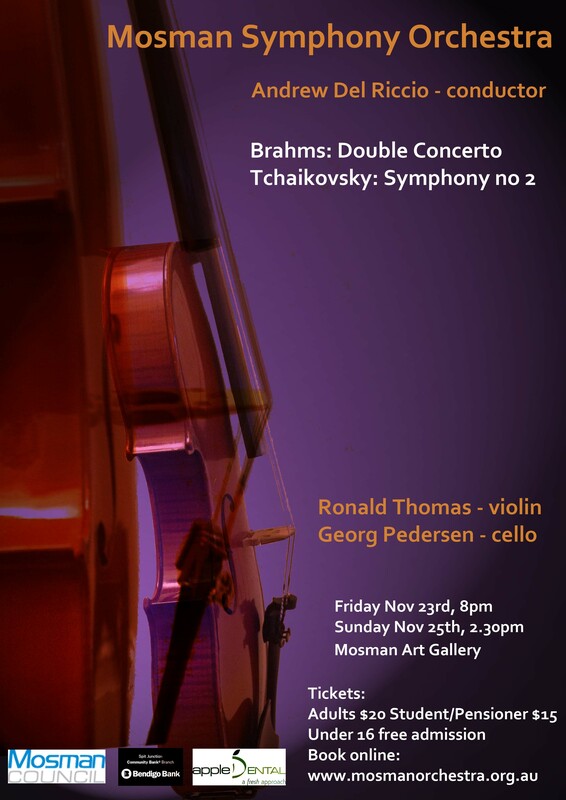 For those concerts we’re very fortunate to be joined by 2 outstanding Australian musicians, Ron Thomas and Georg Pedersen, who will be performing Brahms’ masterful Double Concerto for violin and cello.